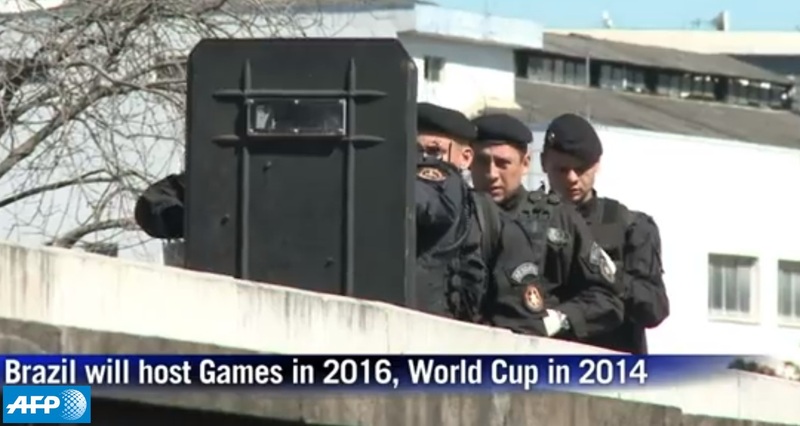 RIO DE JANEIRO– Brazil’s Foreign Minister Antonio Patriota reaffirmed Tuesday that his government ensures security for the 2013 FIFA Confederations Cup, the 2014 FIFA World Cup and the 2016 Summer Olympics to be held in the country. The government is taking “all the necessary steps” to ensure the security in the major sports events and these steps will ” ensure the security of the events”, he said in a statement. The statement was made one day after two explosions killed three people, including an eight-year-old child, and injured over 100 near the finishing line of the traditional Boston Marathon, in the United States. On the occasion, Patriota expressed Brazil’s solidarity to the U.S. people and government and said the Brazilian government will follow the investigations in order to understand the motivation behind this act. After the Boston attack, Britain and Russia also announced increase in the security of sports events such as the London marathon to be held next Sunday and the Winter Olympics to be held in Sochi in Russia next year.